I have a pair of odd six-sided dice at my house... I don't quite remember where I got them. Each die has only one number on each side, and each of these numbers is a positive number. Furthermore, the two dice, when rolled together, have the same probability of coming up a certain number as two six sided dice coming up with the same number. 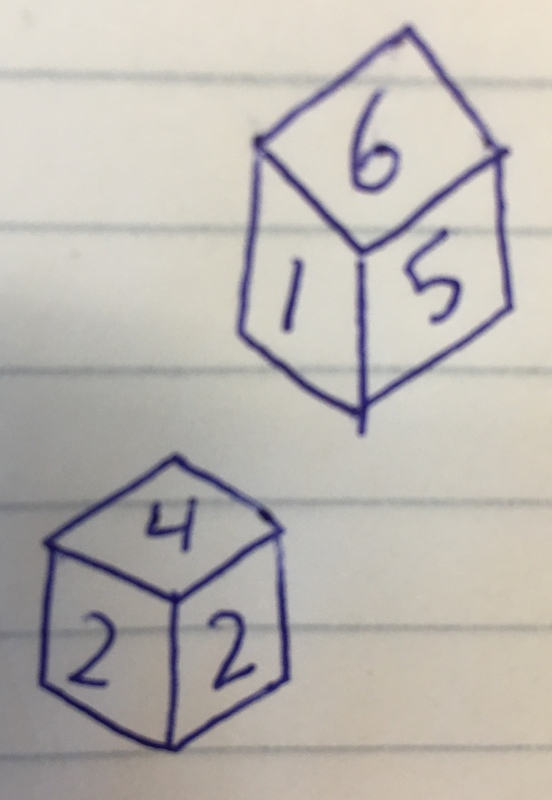 Draw a complete cube net of each die. Good luck and happy puzzling! To get a 2 we need a 1 on the 224 die, and this must be opposite the 4, so 1,2,2,3,3,4, and we also need a 12, which must be 4+8, so the other die is 1,3,4,5,6,8. Not the answer you're looking for? Browse other questions tagged logical-deduction visual dice or ask your own question.